According to Trip Advisor there are 273 Boracay Restaurants. 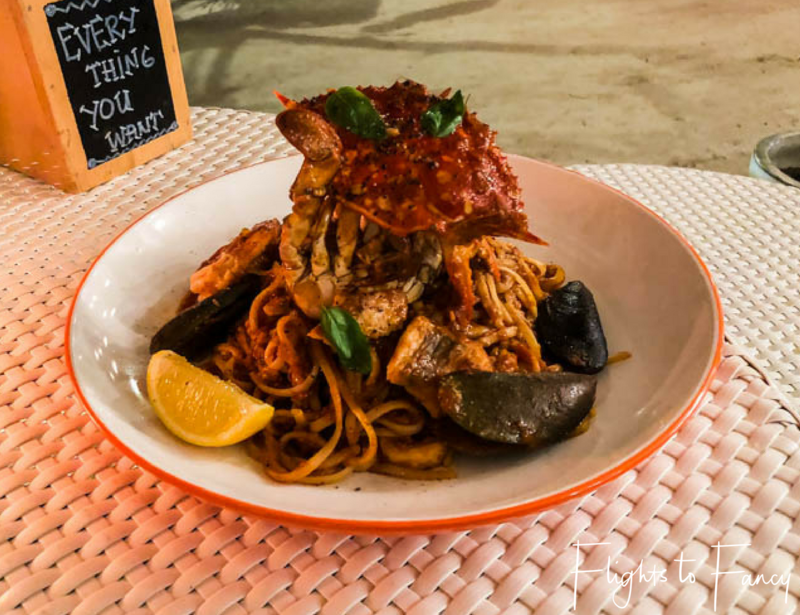 We rarely look past the top 20 and Cha Cha’s Beach Cafe is rated #2, which confirms it is one of the best restaurants in Boracay. Cha Cha’s is located in the lobby of Coast Boracay where we stayed. It rained a lot during our visit and the fact we didn’t have to travel far was a major bonus. 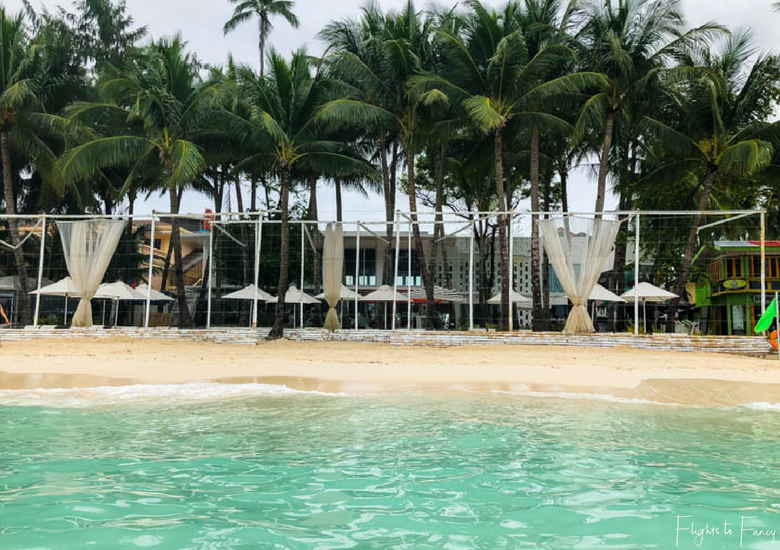 For those staying elsewhere, Cha Cha’s Boracay is located smack bang in the middle of station 2 and commands a superb position on the pristine sands of White Beach. 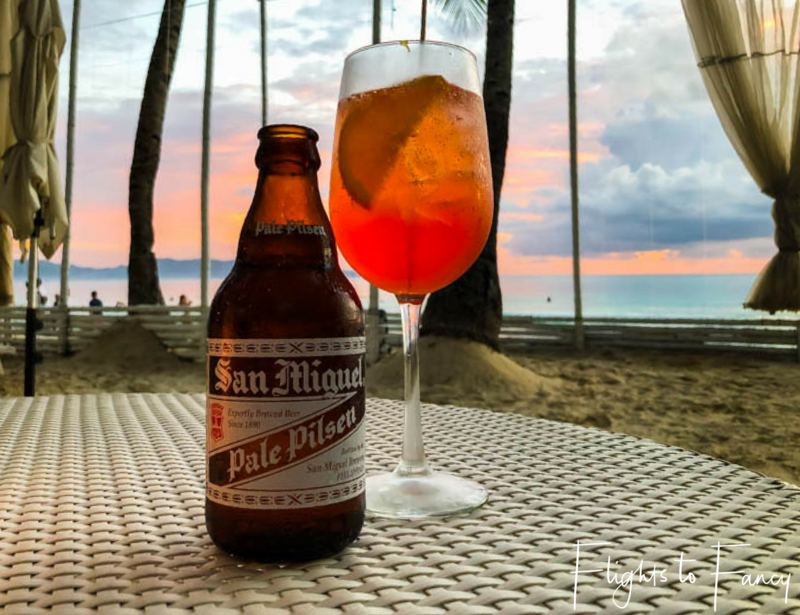 This enviable position combined with a varied menu and an onsite bar made the decision on where to eat in Boracay simple. I am a big advocate of eating local when I travel and while I generally love Asian food, Filipino cuisine did not have the same appeal. The local fare and Boracay food scene is dominated by pork which meant most dishes were off the menu for me. Thankfully Cha Cha’s diverse menu had lots of other dishes to suit. Over the course of a few visits The Hubs and I sampled the very best Cha Cha’s Boracay had to offer. The Cheeseburger in Paradise and All Over Pepperoni stone fired pizza were delicious and it was super tempting to keep ordering our fav’s but we resisted. The Hubs made a valiant effort tucking into his sky high pile of Marinara Linguini but it got the better of him! My picks of the starters are the fried calamari and the chicken satay. The Nasi Lamak was lack lustre and would have benefited from a spice hit. 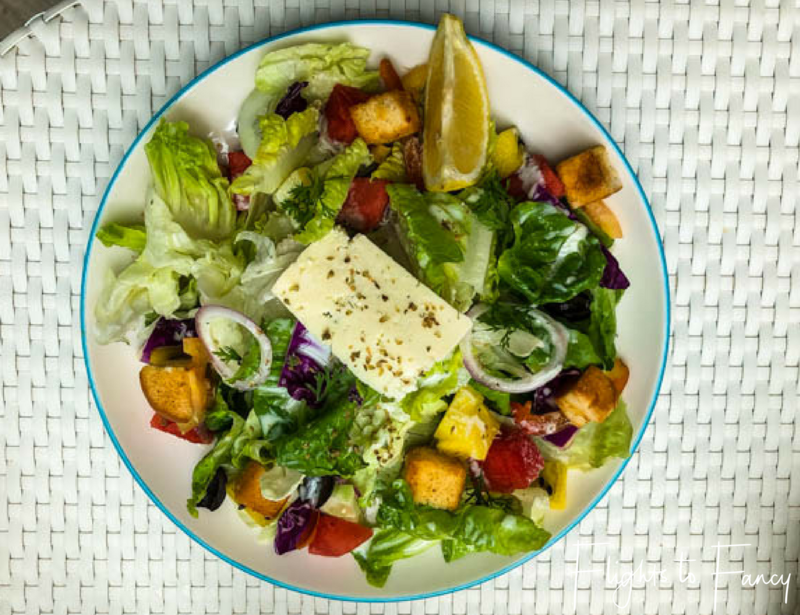 When lighter fare is in order, try the deliciously fresh Greek Watermelon salad. It sounds a quirky, but it works. Make sure you save room for dessert because the warm cookie dough is out of this world. 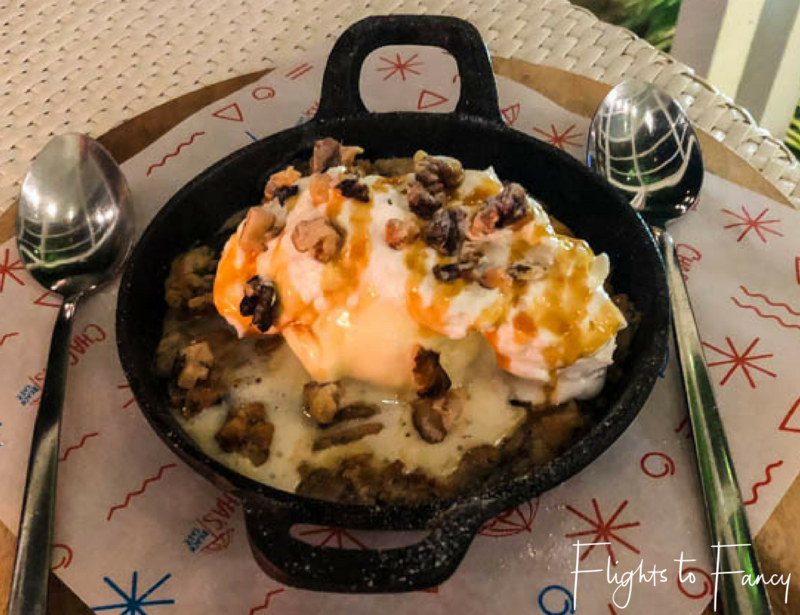 This decadent dish of warm chocolate chip cookie dough served in a skillet and topped with cream and ice cream is the stuff of your dessert dreams. It’s super rich so order one to share. Cha Cha’s Beach Cafe is not only about the food. White Beach has a party reputation so most Boracay restaurants have an extensive drinks menu and Cha Cha’s does not disappoint. 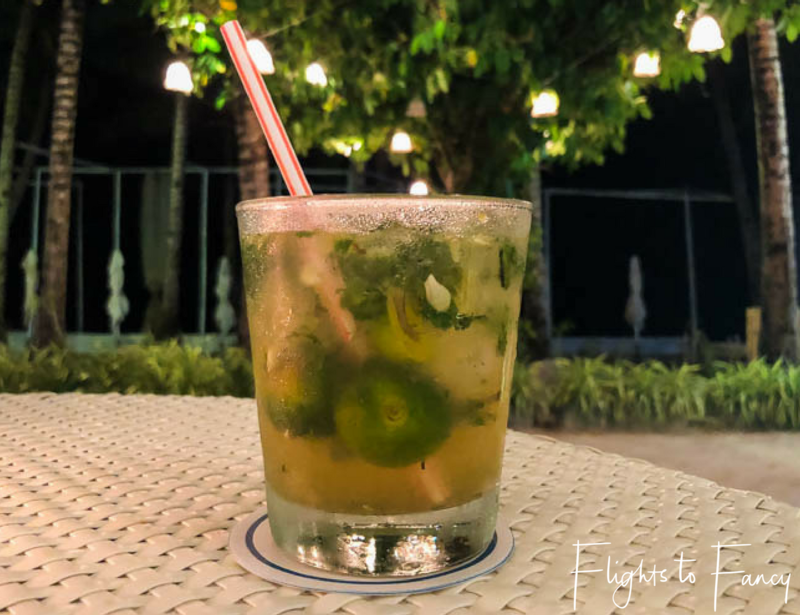 Over our multiple visits I worked my way through the long cocktail list at Cha Cha’s Boracay and my favourites were the Maui Mai Tai and Calamansi A Go-Go. The Hubs is much less adventurous and stuck to his San Mig’s. Icy cold of course! Non alcoholic shakes and smoothies are offered and are equally delicious. Once you catch a glimpse of a magnificent sunset over the water you will be in no doubt that Cha Cha’s is one of the best restaurants in Boracay. I’m not a massive breakfast eater but once I spied the buffet at Cha Cha’s Beach Cafe I had to try it. I’m a bit nosy and I can’t help checking out other people’s plates when I walk past their tables. As I walked into the airy dining room I noticed a fellow diner had a ‘good morning Sarah’ pancake on her plate. I thought it was super cool and was a little envious until my very own personalised pancake arrived. With sprinkles! The rest of the buffet was just as special and endless bain maries held delicious Asian and western fare. The Hubs was thrilled with the breakfast pizza and I loved the gourmet breads. Try the Pumpkin! For those looking to eat light, fresh salads will hit the spot and the miniature Croque Monsieurs were way too cute to resist. 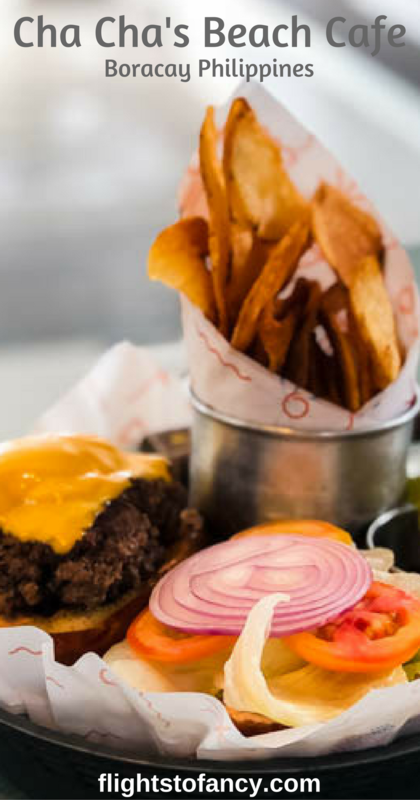 While the test of a good restaurant is of course the food, service is a close second. The Philippines is famed for it’s hospitality and Cha Cha’s Beach Cafe could have written the book. The staff were amazing. Each server went out of their way to have a chat with the guests and make sure their needs were satisfied. While everyone was brilliant, it would be remiss of me not to call out Carmella, Bimbo, Romel and Chummy who went above and beyond. You guys rock! The easiest way to get to Boracay is to fly and we chose Skyjet for our flights from Manila to Caticlan. 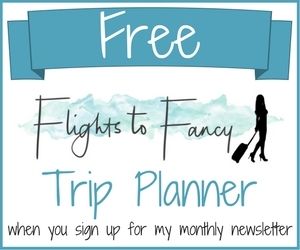 Before you book make sure you check out all my tips for scoring a bargain flight. First time visitors should look out for my guide on everything you need to know before visiting the Philippines which is coming soon. 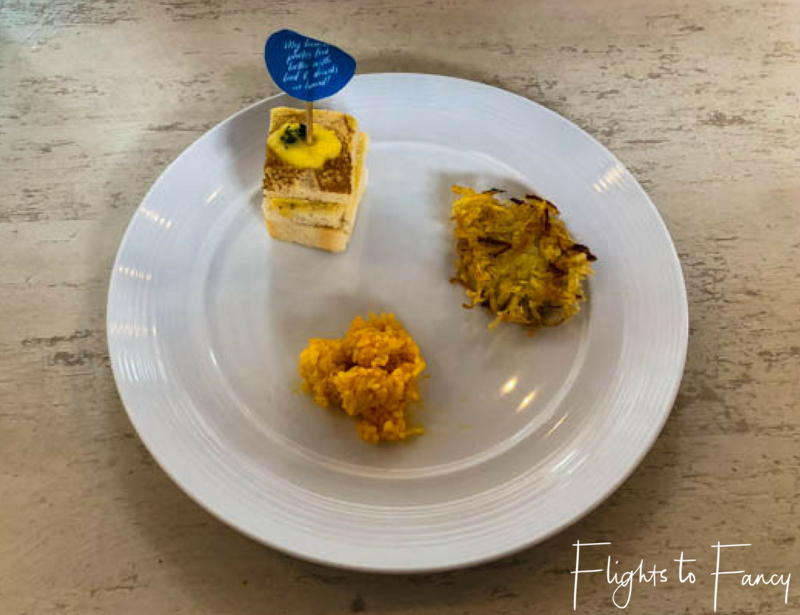 Disclaimer: Flights to Fancy dined as guests of Cha Cha’s Boracay. As always, all opinions are my own. 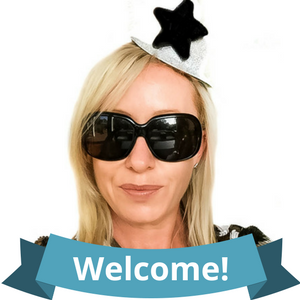 This post may contain affiliate links which will earn me a few cents to contribute to the running of this site if you make a qualifying purchase at no extra cost to you. Eating with a great view is always a must, especially at the beach. Love that presentation with the crab, it just looked so yummy (might be a little that I’m craving seafood right now!). 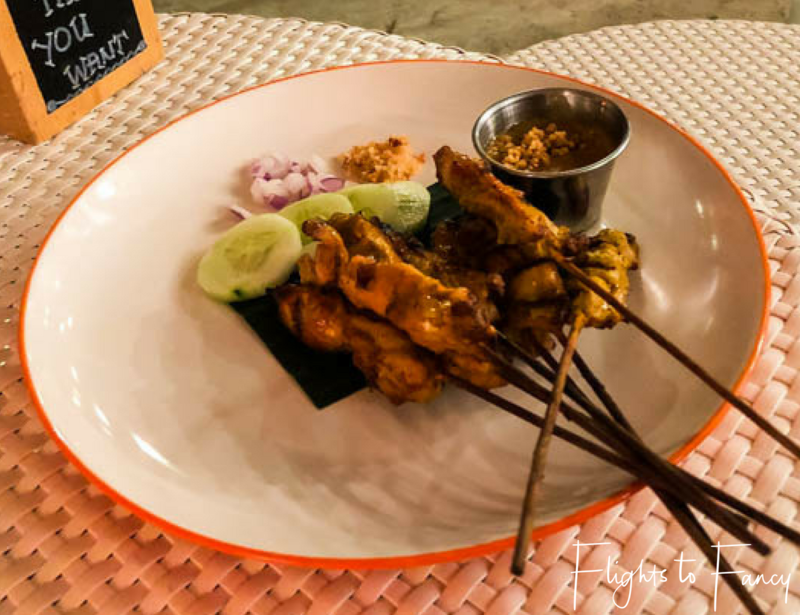 And chicken satay is one of my favorite dishes! I admit that Greek Watermelon salad also sounded nice. Sounds like you had a delicious time! 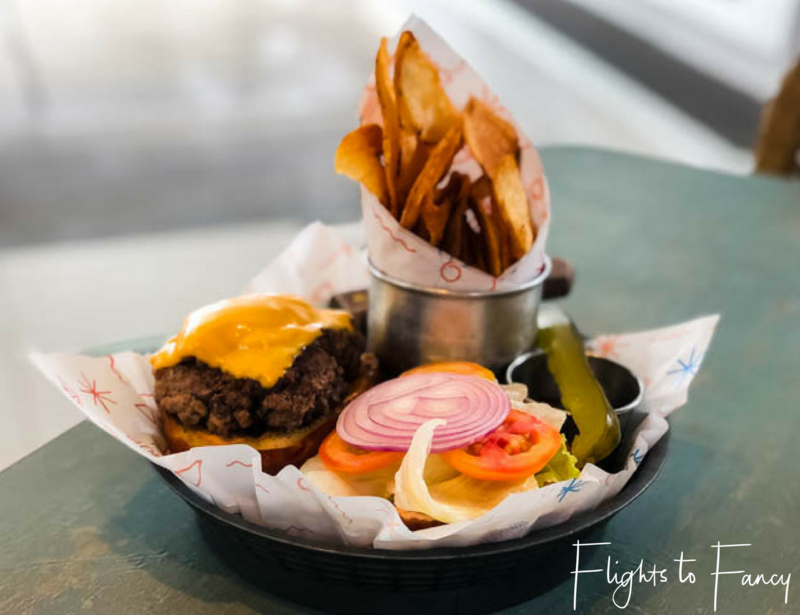 I am a huge foodie just like you and can’t agree more that sometimes there are places that have so much to offer that it becomes hard to decide where to eat, whereas others, you really have to search hard. Cha Chas looks wonderful with an idyllic setting and the food in terms of looks and quantity is pretty comforting. I am happy to see that the service was good, sometimes that gets tricky at touristy places. Thanks and taken note for future travel. Nice post and great photos! These pictures made me crazy hungry! Cha Cha’s was great Erica! So much variety! I admire your mission to find the best place to eat! I would have given up haha Going to bookmark it for later when i go there. At first I thought the pancake said help on it haha. Wow, never heard of Boracay until now but it looks absolutely stunning!! I heard the beaches over in Southeast Asia were clear, and the food was good so I will definitely be checking it out! I am headed somewhere in that region this summer so I’d love to check out Boracay too! Boracay is definitely on my list of places to go to. Cha Cha’s sounds like a great authentic experience and value for money! 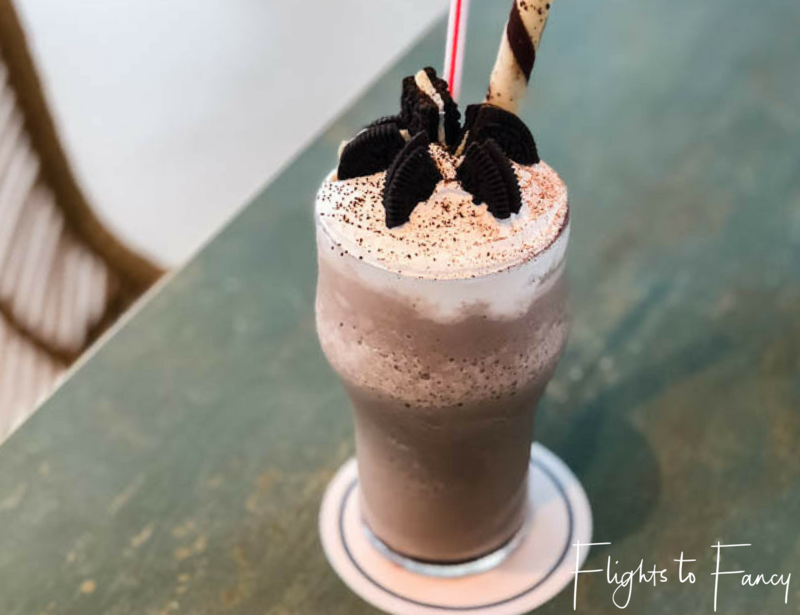 Great pics – especially love the oreo cocktail! The Oreo shake was divine. 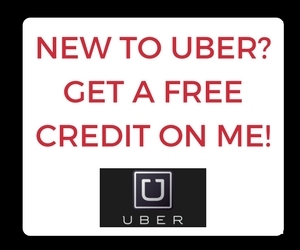 Hope you get to check it out for yourself soon! CHA-CHA’S BORACAY is the best when it comes to food. I have heard a lot about it and your post confirms it. Every dish looked so delicious. I am like the drink choices we well. I would love to spend some time to just soak into the great set up. A must visit cafe for sure. It was awesome Parnashree. We didn’t have one bad meal there during our entire stay. The calamari and drinks would have me living there forever. The food looks so scrumptious. Oh i missed Boracay! Cha cha looks like the newest restaurant in town- with the extensive menu offers no wonder it’s the best place to eat in the area. It is relatively new but already has a great reputation which speaks volumes. 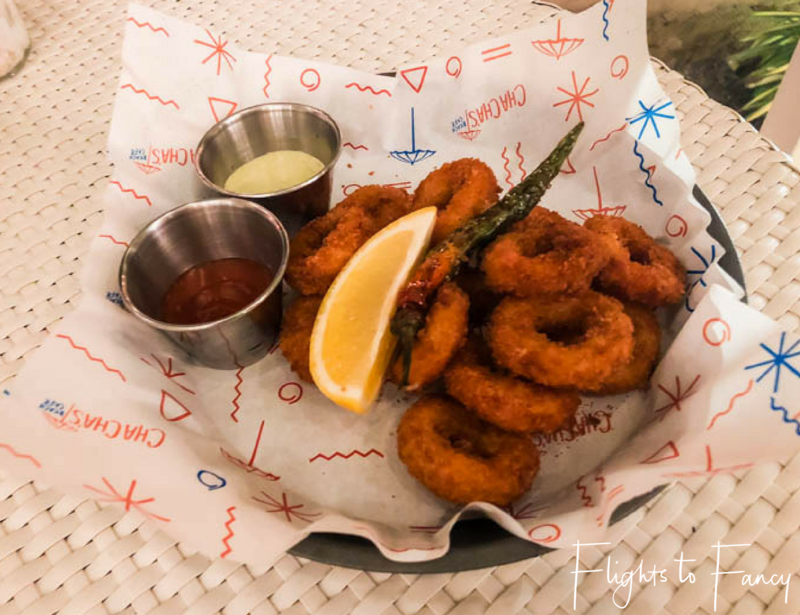 Cha Cha’s Beach Café sounds great – I mainly stuck to eating in the hotels I stayed at while in Boracay – I had read similar reviews that you mention, where the food scene didn’t get an overly great rap. 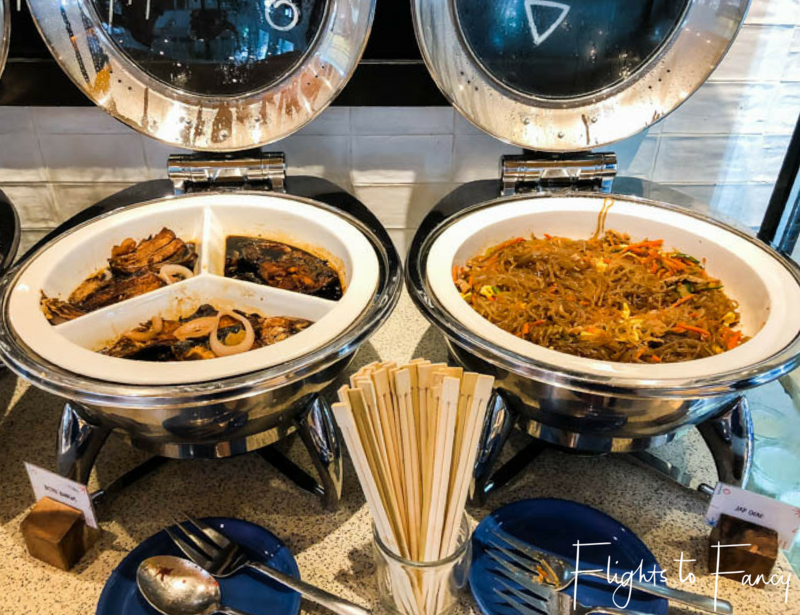 So I figured hotels would be fine for food – and they were great. Love that this is so beautiful and clean and right on the beach though. And the fried calamari and the chicken satay sound great. 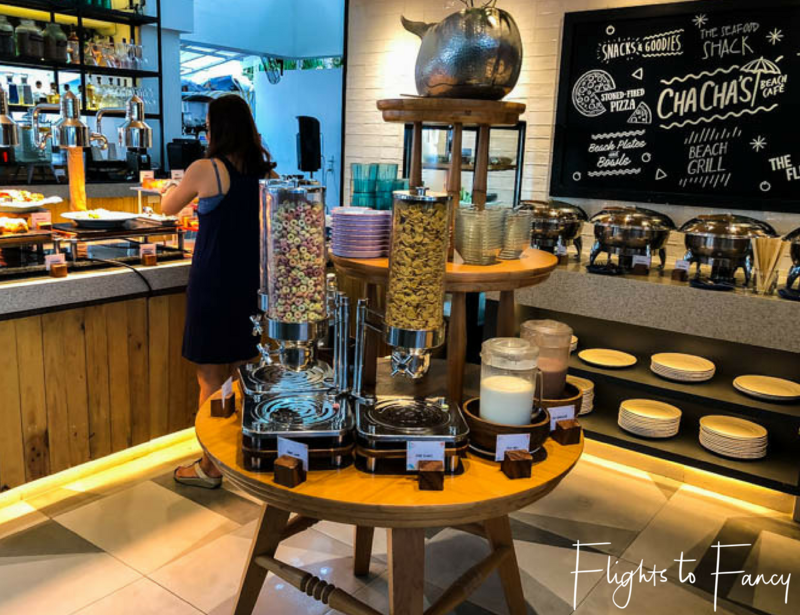 Between their breakfast, diverse day menu, and awesome list of drinks, I would probably be there all day on our next trip! The Cha-Cha restaurant sure seems to have met your expectations. The thing that I love about the place, reading your post is the wonderful presentation of the food as well as the ambience. The food has a distinct visual appeal that is so endearing. The personal touch of having your name is so heartening too. Thanks for sharing. This place seems like paradise. I love the restaurants being right on the beach, you can go from the water to eating some amazing food, then taking a nap and doing it all over again. The food looks so amazing. Definitely my kind of place. I agree about Filipino food. We visited for three weeks last year and while I always try to eat the local cuisine, I found Filipino food to be really fatty, mostly fried or so incredibly sweet it literally made your teeth hurt and generally not fresh. Which is a shame, since usually fresh seafood and fish would be top notch in an island nation. You definitely have to search a lot harder to find good restaurants in the Philippines. Glad you could find a good place to eat and Cha-Cha’s location looks beautiful too. The satay does look tasty! I was surprised Jennifer. I can usually find something local to like but Filipino cuisine was just not for me. Luckily Cha Cha’s had a diverse menu. I’m sure everyone would find something to enjoy here! I love the sound of this restaurant! I know I’m going to fall in love with Boracay because of the amazing beaches but I didn’t know they had a great party scene too, that’s good to know. I can totally relate to you when you say that although you love Asian food generally, Filipino food doesn’t appeal that much. I don’t eat much of pork either. I still like to try whatever local fare I can, so I am going to keep these recommendations in mind. Thanks for sharing! I can see why Cha Chas ranks so high on the list. Those portion sizes look impressive, the front row seats to the beach is marvellous, and the drinks seem to be diverse and artistic. The chicken satay sounds tasty, it reminds me of one of my favourite restaurants when I was a little girl. A shame the rest of the restaurants couldn’t live up to Cha Chas high standards. It’s great you got to go back multiple times to try everything. I really love the way you have written out the review. I always wanted to visit Philipines and my only concern is Vegetarian food out there, since living in Dubai I know that it’s not easy to get Vegetarian food that easily. 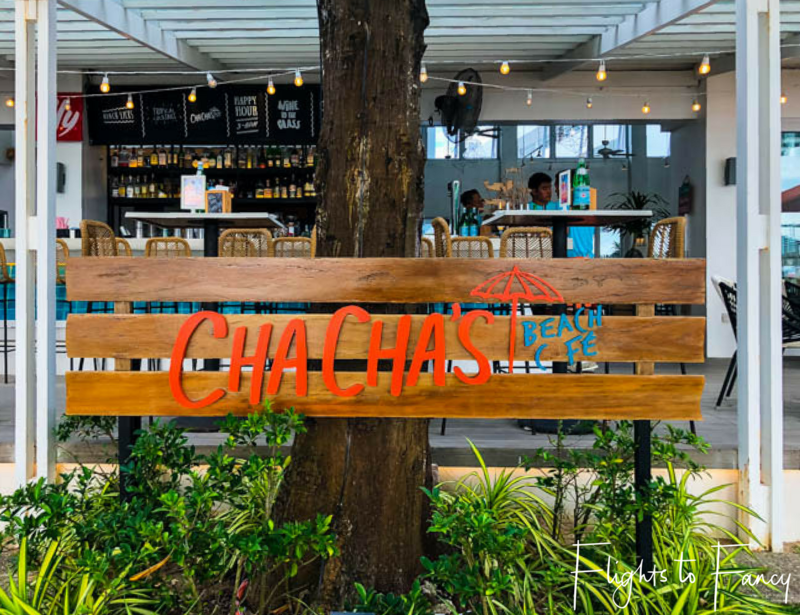 But f I ever visited Boracay I will make sure to visit this Cha Cha’s beach cafe. This is beautiful and makes me miss the beach!! The food all looks to die for. 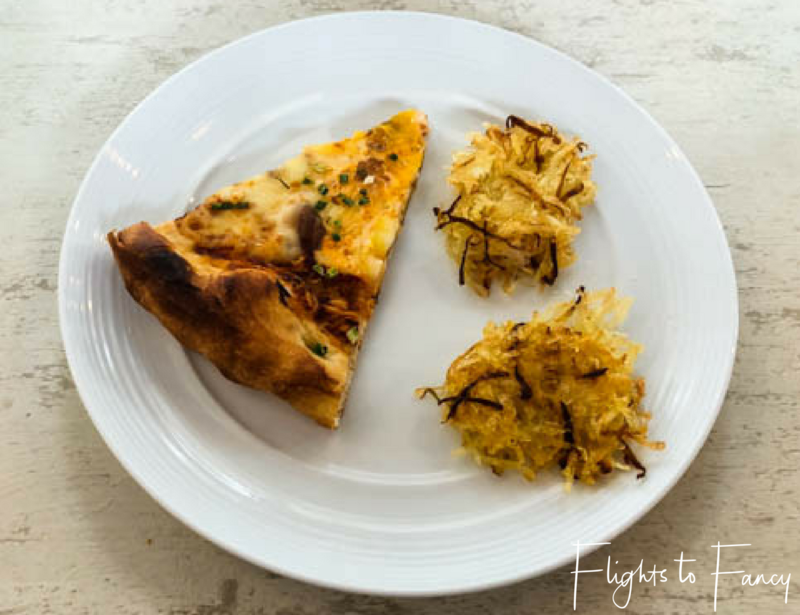 I’m impressed with you and your food photos – I always forget to take them and when it comes time to blog about a place I always regret it. Definitely going to keep this in mind – it looks so beautiful and delicious! Wow, that’s a lot of food. I hope you had some friends with you. The deserts do look super yummy. I could see use splitting an ice cream at the beach. If I ever get to Boracay I’ll be happy to try Cha Cha’s diverse menu! It looks like a marvelous journey through tastes. Wonderful! I’m graving for Asian food right now – it’s not something easy to find on the French countryside, ha-ha! Cha-Cha’s looks like a nice restaurant with delicious offerings. I am sorry that you didn’t seem to enjoy the local food when you were in Boracay. I’ve heard that Filipino food doesn’t have the same kind of acclaim as the food of other Southeast Asian countries, which is disappointing to me as a food lover. It’s always nice to find a restaurant that you can keep going back to though, I find that really comforting. I love Vietnamese, Thai and Indonesian but Filipino cuisine was just not for me. Don’t let that put you off though! Cha Cha’s has some great Filipino menu items that might be to your liking 🙂 If not grab the cheeseburger. It is sensational! oh my goodness I swear your foodie post reviews always make me hungry. Honestly I love the selection of food on your review and I will keep Cha Cha in mind for my trip to Boracay. I have to ask did you finish the meal in the first photo haha as it looks like a woman vs food job on that one. Looks like a great spot! I’ve been to Boracay a few times but never noticed this place! Will definitely bear in mind for my next trip! 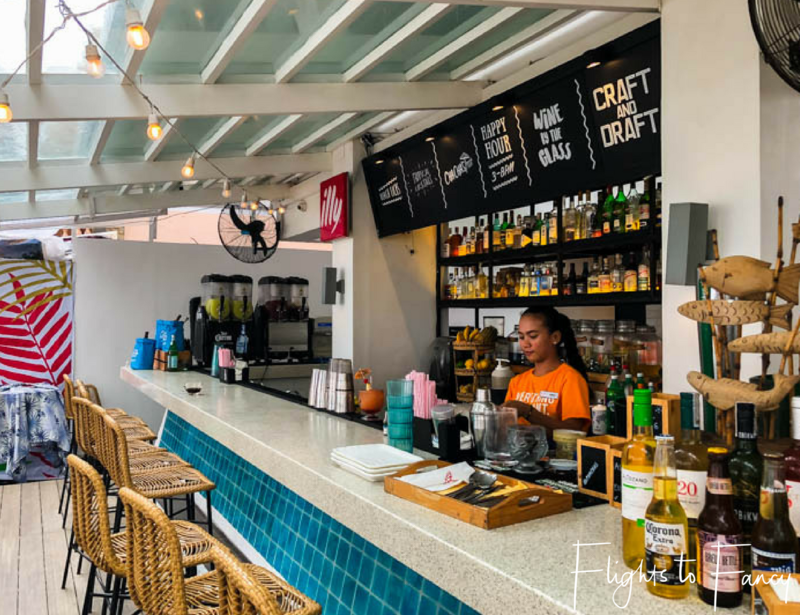 The location of Cha Cha’s Beach Cafe on the white sandy beach sounds perfect, we would love to watch as the world goes by as we devour on the delicacies. 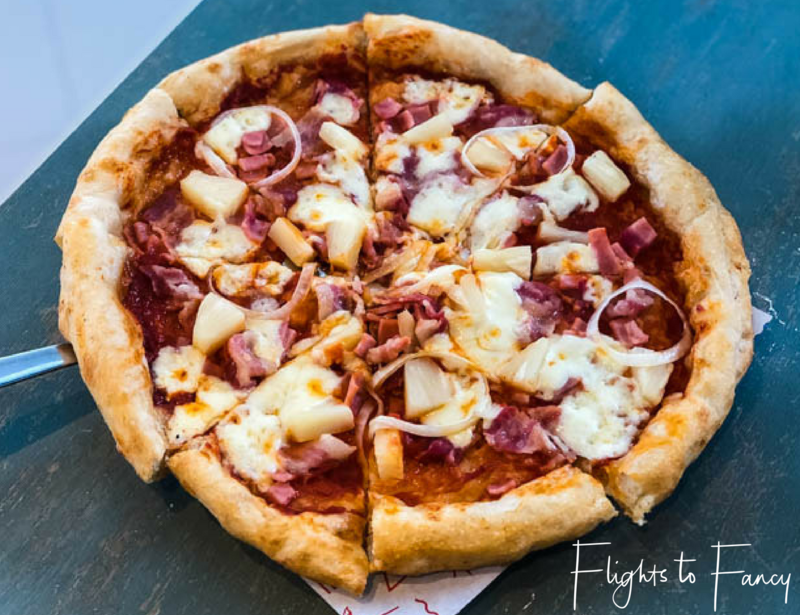 The stone-fired pizzas are our favorite and the Greek Watermelon salad sounds interesting we are definitely gonna give it a try. 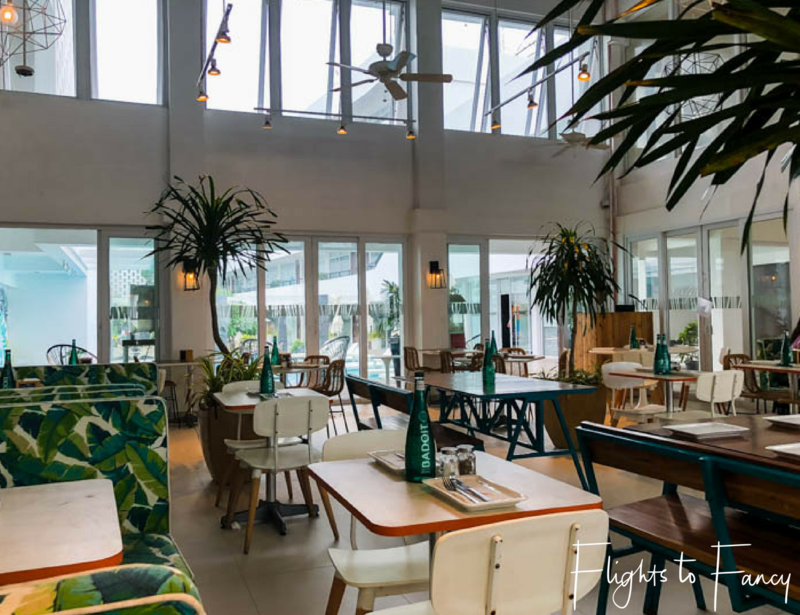 Your detailed review has already put Cha Cha’s Beach Cafe on our list of places to visit in Boracay. Though I’m a big time foodie, food isn’t a big part of my travels, the reason being my diet . Being a veggie, I’m left with rather a poor choice of food more often than not. I don’t have big hopes about veggie diet in Philippines!!! The ambiance at the Beach Cafe looks great and the breakfast buffet looks splendid though. Sounds like the salads at Cha Cha’s would have been perfect for you Bhusha! You put a lot of effort in this article 😉 . Well, I don’t give much thought about where to eat when I’m on a trip – stroll the streets, look at what the folks at the restaurants are having and decide for the place the food looks best and the people are happy 😀 . Yet, I can Imagine this place you described to be my choice when it comes to find a place to chill at the evening. After your review of Cha Cha’s I’m definitely hooked and will definitely be eating there when I travel to Boracay! 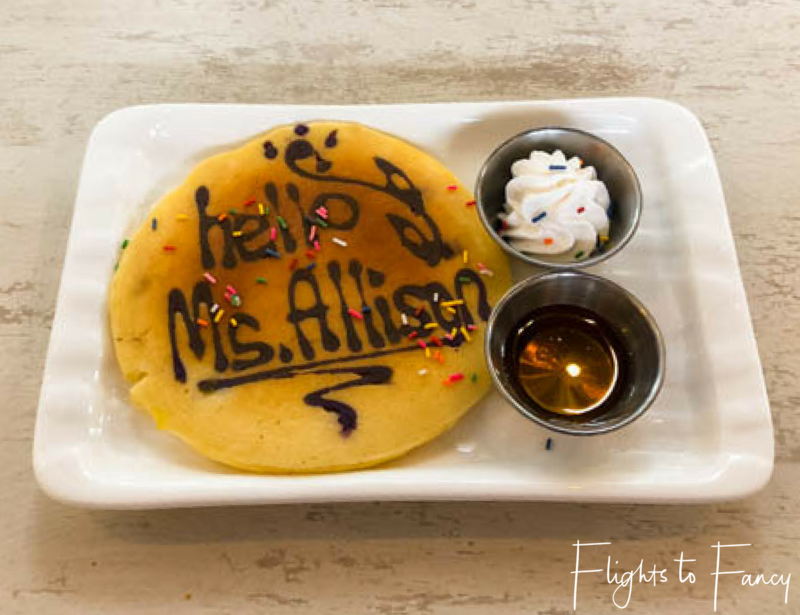 I liked how they customized your pancake and that there was an extensive drink menu. Everything was presented well and looked absolutely delicious. Boracay is always on my list due to beautiful beaches. You have listed a great cha-chas restaurant with great views and delicious looking food. I love beach bars as they are very lively. Non alcoholic shakes and smoothies are very tempting. Also that veggie salad catches my eye. 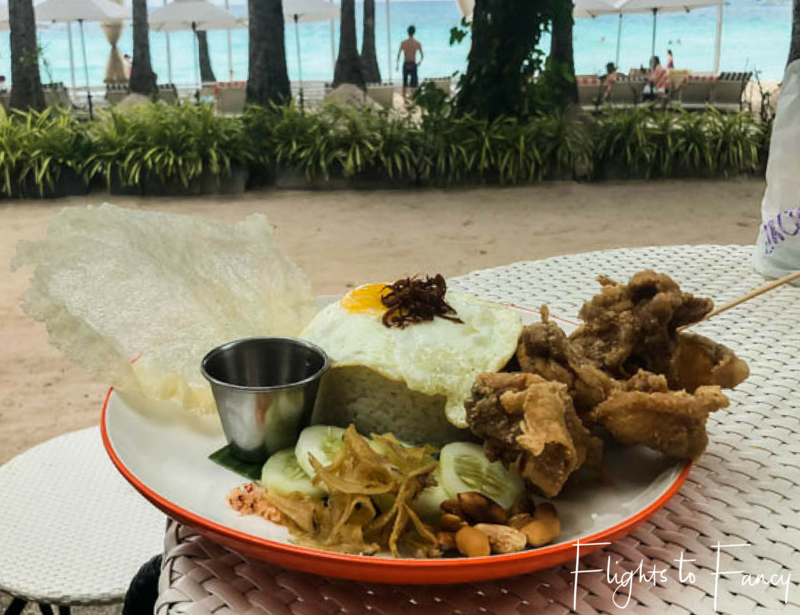 I love this very frank review of the food scene in Boracay, that is lacking until you found Cha Chas! The food and the setting at Cha Cha’s Beach Cafe both look awesome! I love that you mention their review rating being #2 of over 200… goes to show they really are doing something right! Yum! 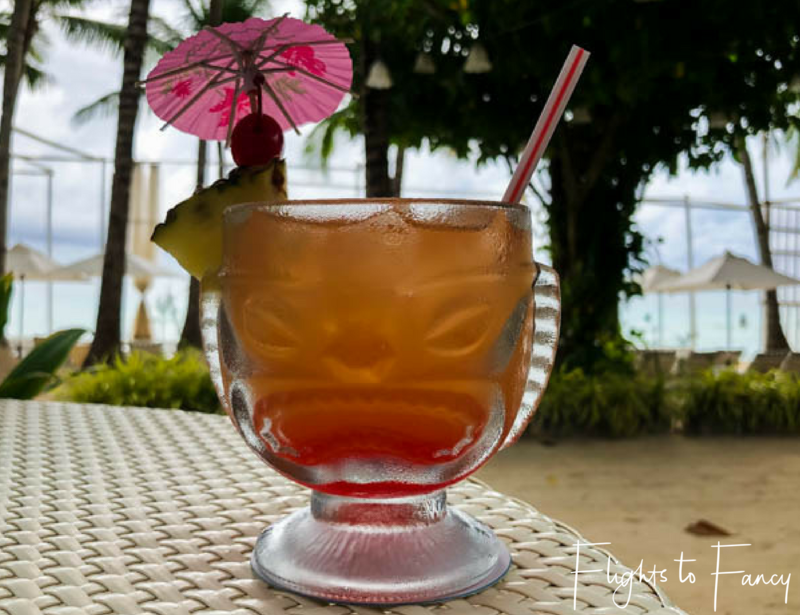 Cha Cha’s looks like a perfect choice for Boracay. You’re right about that cookie dough, it looks delicious! And would it be wrong to want to try all those drinks while watching the sunset? Not all together of course! Haha eating and drinking is also one of favourite stuff to do while travelling! Cha Cha’s Beach Cafe seems like a perfect place! I love beach bars, the view is always so great! The food and drinks are looking so amazing I would love to visit that place one day! Thanks for recommendation! 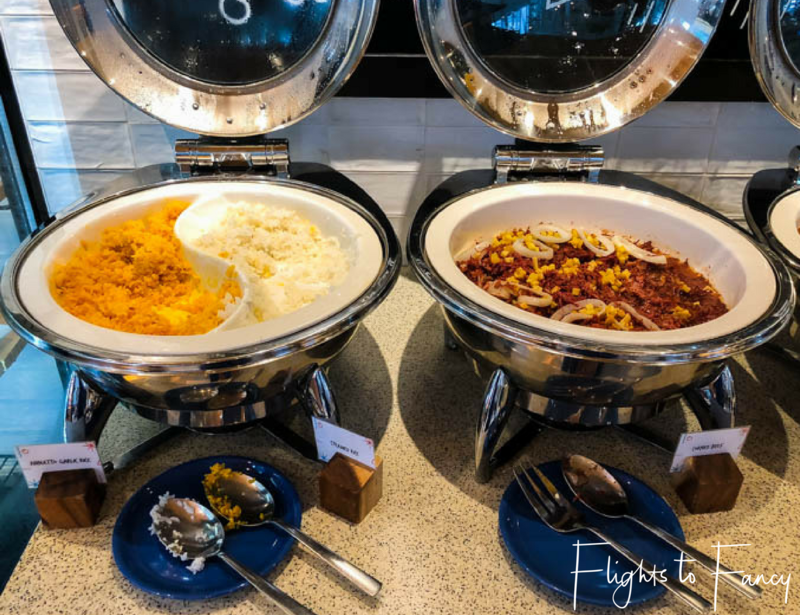 We also had some difficulties in finding proper food places in Boracay, at last we ended up quite satisfied with the small “Spicebird” joint in dmall. However, Cha Cha’s would definitely be an option for next time. I love Calamansi drinks, so I would also have gone for that option! Wow! That seems like an amazing holiday filled with food! That’s exactly the kind of break I want to have. Calamansi is my ultimate best! Your photo’s make me want to pack my bags go to Boracay just to go eat, Its my faverioute kind of food too. Loads of info here, good job! We went to Boracay earlier this year as part of a very long trip – so wanted to do nothing but relax when we got there. 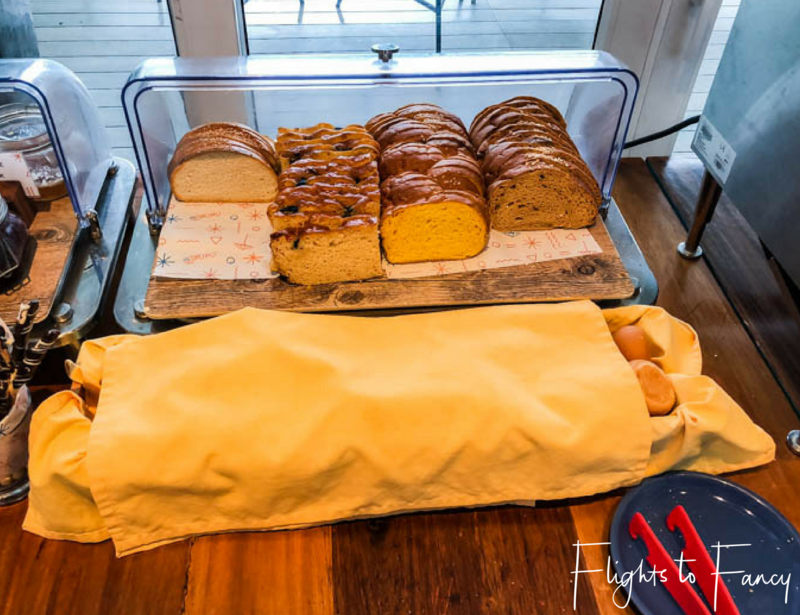 With the exception of one outing, we stayed and ate at our hotel – Shangri La Boracay. Bad tourist, I know. 🙂 Will keep Cha Cha’s in mind for our next trip.